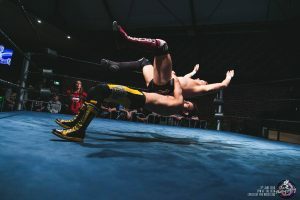 Taking back the list from last month’s “guest” contributor Gavin McGavin, the EPW Insider brings you June’s Top 20. 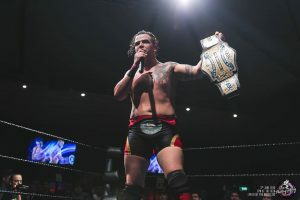 The Don has finally claimed the mantle as the number one wrestler in Explosive Pro Wrestling. 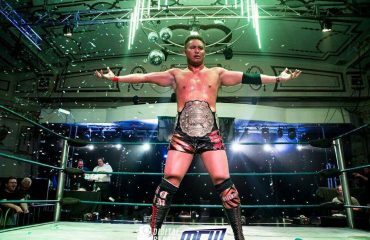 Some would argue, maybe correctly, he deserved this 7 months ago when he won the EPW Championship against Davis Storm at ReAwakening 16. I, however, am not so easily swayed. 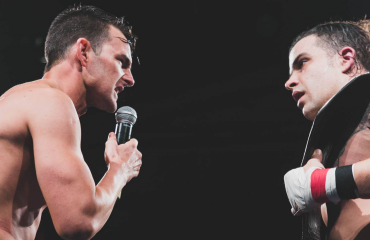 It takes a lot more than one incredible match to make you the best wrestler in town. It takes consistency over a long period of time, and that is exactly what Morleone has managed to achieve this year. He has completely won me over and is in the middle of a historic championship run. 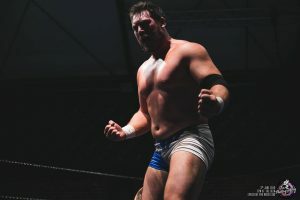 A win against Carlo Cannon at Evolution would see him enter the conversation as one of the finest EPW Champions of all time. It’s a testament to how good Morleone has been that he can hold these guys at bay. 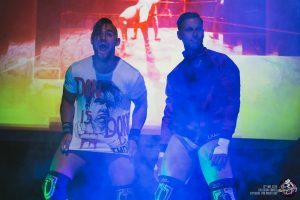 As singles competitors, they are two of the very best professional wrestlers Australia has ever seen. As a tag team, well, they are Untouchable. 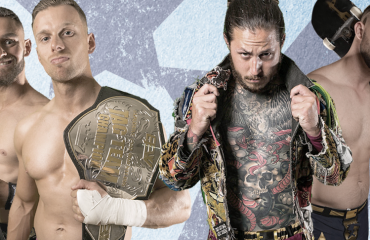 It’s rare that a challenger to the tag team championship would go in as such a heavy favourite against the reigning champs, but that’s exactly what we’re going to have on Saturday, June 16 at Evolution. These guys have knockout matches every single time they step into that ring. 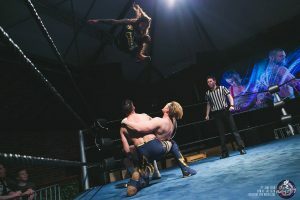 There is never a dull moment from bell to bell, all the while managing to pick up important tag team victories every step of the way. I imagine they will start to zero in on some tag team gold sooner rather than later. Ward is in the middle of a genuine breakout campaign. He has always had the look of being the “next guy”, and a win over McGavin at Evolution in a Last Man Standing Match would be a great way to solidify himself. 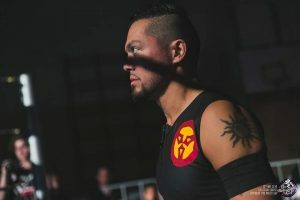 Ward has proven to be extremely reliable in the ring and consistently puts on fantastic matches alongside great wrestlers. There’s no doubt this upcoming match will be special. Very interested to see how it pans out. Credit where credit is due, McGavin is picking up momentum. 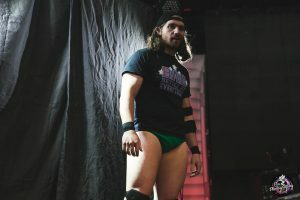 Some of you may not be aware, but Gavin won the Wrestler of the Year award in 2017 in what was a shock win. However, shocking or not, it was well deserved and we always expected to see him soar in 2018, but recently he has been kept firmly in place by Julian Ward. The outcome of this match at Evolution will be telling. For the winner, it puts the EPW Championship in their sights, with the loser, unfortunately, having to wait a little longer in line. RUOK Davis Storm? 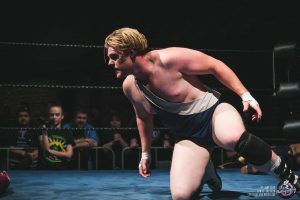 A loss to Pete Dunne at PROGRESS x EPW was borderline expected, but to be outsmarted and beaten by McGavin?… Oh dear. 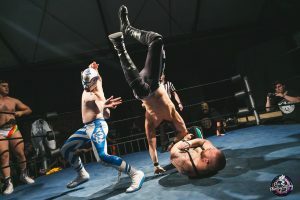 2018 has racked up loss after loss after loss for Storm, and perhaps the glittering career of one of EPW’s finest wrestlers is beginning to wind down. 17 years of wear and tear may have finally caught up with him. 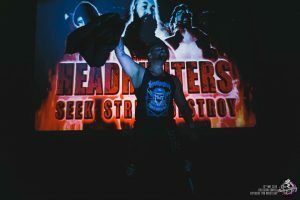 However, in spite of those losses, Storms’ heart and tenacity is near impossible to overlook, which is why he still makes number six. I’ll say it; I’m a Scotty Ryan guy! But where exactly is our beloved Big Rig heading at the moment? He’s picked up some important victories as Coastal Champ but it’s all been a bit vanilla for my taste. 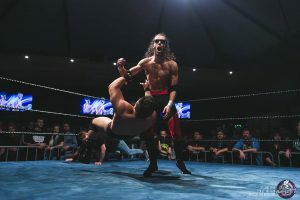 Personally, I’d love to see Scotto grow a pair and crack his stablemate Morleone in the back of the head… maybe that’s just me but talk about fast-tracking your way to a title shot. I’ve enjoyed the tag title run of these two, but it’s still been lacking a bit of zing. I feel like their first true test is only now beginning, and what a test it’s going to be. If they can get past The Untouchables at Evolution, it might springboard them into the second half of 2018 and really start turning some heads. Look out world, AZ Vegara is finally coming! 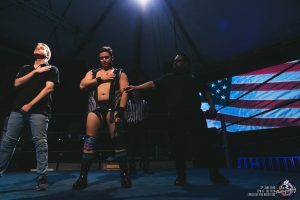 AZ has been a sleeping giant in EPW for a long, long time now and has never quite made a mark as a singles competitor, but that could all about to change. His partnership with Jay Taylor had potential, however, after what happened at The Deen it’s pretty clear their egos might not allow it. 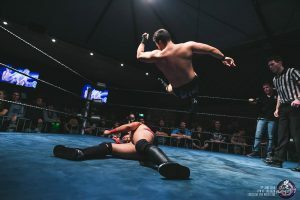 This match against Scotty Ryan at Evolution is the biggest of Vegara’s career. This match is probably the one I’m most excited about. Steria is a beast. This guy has all the physical attributes of a powerlifter, a gymnast, and Thor. If he was a Create a Wrestler, he would have stats of 9/10 across the board with virtually no weaknesses. 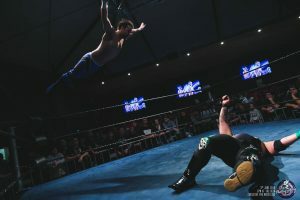 He does have a propensity to float in the mid-card, so I would love to see what could happen with a bit more direction. It’s too easy to forget he’s an ex-EPW Champion. I was a bit sad to see his tag team partnership with AZ struggle to get off the ground, though there was another part that was quite happy. The Jay Taylor of old probably wouldn’t have cared how his team got the W as long as it was theirs, but there seems to be a bit of a something happening inside of Jay at the moment. He’s always been a cheeky bugger who enjoys a little too much riling up fans, but I think we may be seeing the beginning of a serious mean streak. Keep watch on his one; he could very well be another who is finally ready to make the leap. King just keeps getting better and better and better. Taylor King and his Taskforce have become a genuine highlight of the night for me. He loves having his boys with him so he can be the star, but the drawback of surrounding himself with the help (sorry, Taskforce…) is that they don’t seem equipped when he needs them to do his dirty work (see Gorgeous Gary at Collision Course or the 6-man tag at The Deen). I think at some stage King is going to learn he can be more than just a child star, but with an ego his size, it’s going to take time. I will certainly enjoy the ride though! 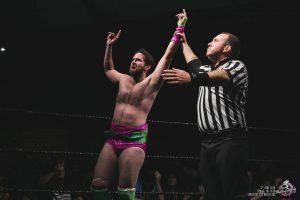 Tough, reliable, likeable, hard-working, selfless – Wimbeldon is everything that is wonderful about EPW and I hope we keep him around forever (unlike his hair). I’m not sure what’s happened to his tag team partner Joe Ross, but either way, the world needs more Johnny. What he has left in the tank as far as a singles run is an unknown, but it would be mad to rule him out. I get the feeling he will still be around taking deadly lariets from reckless heavyweights in another 15 years time. Poor old Nero. The guy was finally starting to build a bit of singles momentum and then boom, he gets dropped on his head and loses mobility in his neck. Thankfully, he’s now back at full health and has a HUGE opportunity at Evolution. 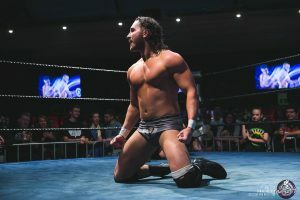 The Street Gang Hooligans are about as big a challenge as there is in EPW, but a win here with Steria as his partner would be MASSIVE in the context of his Perth wrestling career. Time for Nero to shut up or put up. With these four involved, this match has the potential to steal the show. Jacobs has been right on the verge of irrelevance for a couple years now but recently, it looks like the wheel has turned. His stupid book might be lame, however, there’s no denying it’s made him a bit of a highlight. We all know he’s tough as nails and is also one of the most experienced guys on the roster. He potentially will also gain the credit as the last man standing from ‘Awakening’ all those many moons ago… I wouldn’t be turning my back on him yet. The old timer is a long way from being done. Gorgeous Garry is a much beloved returning EPW wrestler. 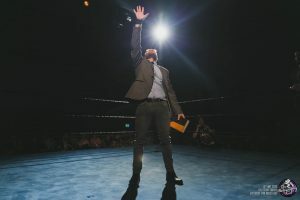 However, while he may still have the crowd on his side, it seems a bit of ring rust may be getting in the way of all his glorious self from properly shining through. 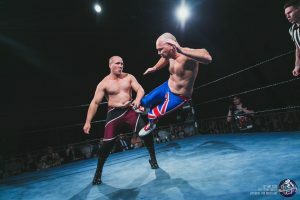 Garry reminds me of an old EPW favourite, Nate Dooley – someone I would definitely turn to in order to help me rediscover my… shine. He has the ability, the talent and the determination to rise up the ranks. It will be interesting to see what the next 12-18 months bring. Poor Bishop can’t catch a break… unless it’s his shattered nose at the hands of a very angry Dan Steel. …Too soon? All joking aside, this guy is toughness personified and I would love to see him get a proper run at things, but misfortune just seems to follow him everywhere he goes. Though as they say, you can’t keep a good man down and I’m sure we’ll see him back in action in no time! Always entertaining, but just missing something it seems. Undoubtedly, every show they’re on is made better just for having them there. There doesn’t seem to be any real heat to the Chilli Con Carne, which makes it difficult to move them up the list. I love the Taskforce. They’re great for a laugh, play their role, pump out entertaining vignettes and are just all class. EPW would be in a much better place if we had 10 more Tipenes and 10 more Jack Edwards. There is some serious raw talent amongst these two guys, and in another few years’ time, they are going to overtake A LOT of people on this list. I for one am very excited to see them grow up as wrestlers right in front of our eyes. 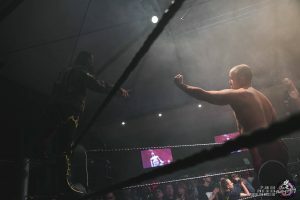 This is what local wrestling is all about! 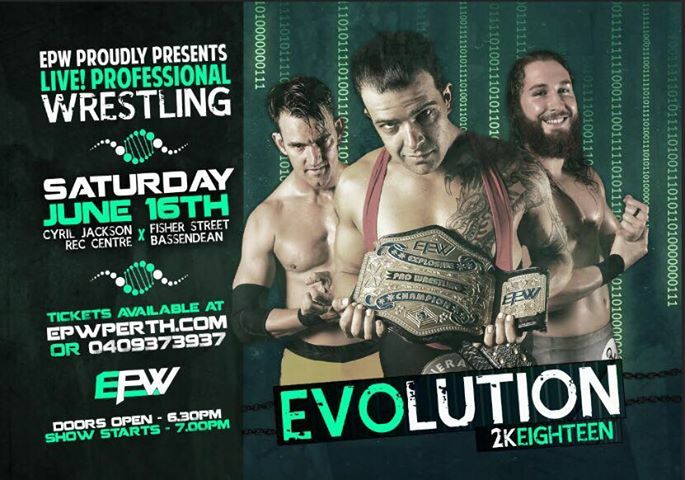 Don’t miss out on EPW’s next show on June 16, EVOLUTION. Photos thanks to Pix Photography.